The Textile Institute London and South East England Section have organised a talk with a title ‘From fair-isle to football boots; unravelling seamless knitting’ that will take place on 27 November at the London College of Fashion. The exciting talk will be lead by Dr Vikki Haffenden, Senior Lecturer at the University of Brighton. Vikki Haffenden is a specialist in knitted textiles and knitwear with experience in both design and manufacture, with a particular interest and expertise in CAD (computer aided design) and CAM (computer aided manufacture). Her PhD research focused on this technological section of knitwear design and manufacture, in combination with the exploration of fit for real body shape through 3D body scanning. This combined understanding is critical to seamlessly knitted clothing, in which fit has to be integrated into the knit structure. Vikki is a Senior Lecturer at the University of Brighton, a Freeman of the Worshipful Company of Framework Knitters, and author and consultant on a number of popular books on hand knitting. 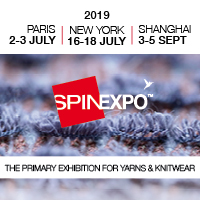 Seamless knitting is a newly emerging area of commercial interest for a variety of end users from fashion clothing to medical/technical, and yet knitting is still not always fully understood and often mistaken for woven fabric. With samples and a rich collection of illustrated examples, Vikki will unravel seamless as a method of knitting. She will differentiate between various types, discuss different meanings and methods of manufacturing, and put these into historical and current context. For further details please contact: [email protected] .